RamShield Hits the Ground Running! 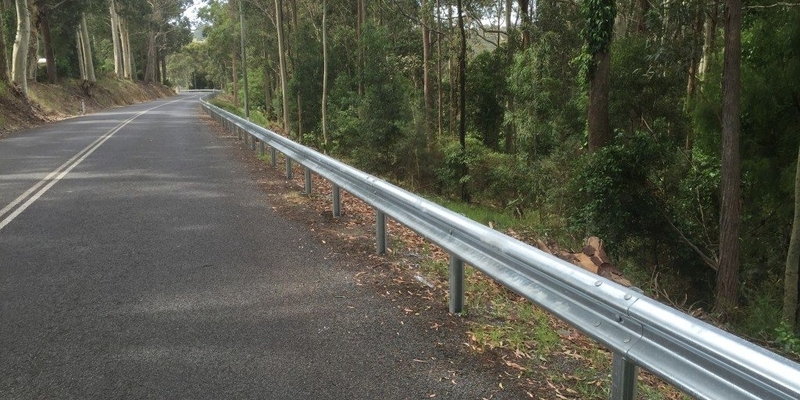 Safe Direction’s recently approved RamShield Guardrail system was last week installed on 4 separate projects across NSW. Installers raved about the ease and simplicity of installation. The narrow width of the system also provided distinct benefits on winding narrow road formations giving more room back to motorists. RamShield has raised the bar in safety performance for guardrail, unlike the public domain G4 system it is fully compliant to AS/NZS 3845:2015. RamShield is a fully hot dip galvanised system providing confidence in its long term performance.